Three men are in police custody in connection with a shoplifting incident on Tuesday (January 22) that turned violent. Shortly before 2 p.m. Tuesday, South Hilo patrol officers responded to a store at 325 Makaʻala Street in Hilo to a report of a robbery. Store personnel reported that three men had concealed store items on their person and left the building without paying. When confronted by an employee outside the store, one of the men reportedly punched the male employee in the jaw, knocking him to the ground. The three suspects then ran from the area. Police located the suspects nearby. They were identified as 21-year-old Michael Thomas, 18-year-old Daniel Kapumau and 19-year-old Ku Manuia. 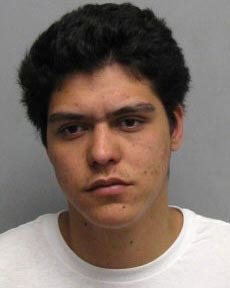 They were arrested and taken to the Hilo police cellblock pending further investigation. On Wednesday (January 23), police charged Thomas and Kapumau with fourth-degree theft. Their bail was set at $250 each. 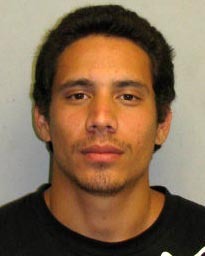 Manuia was charged with second-degree robbery and fourth-degree theft. His bail was set at $5,250. They remain at the cellblock pending their initial court appearance scheduled for Thursday (January 24).